Two years after releasing their brilliant self-titled album, CZARFACE – comprised of Wu-Tang Clan’s Inspectah Deck and 7L & Esoteric – will return with their new album this summer. Due to hit shelves this week, the forthcoming LP, Every Hero Needs A Villain, includes guest appearances from Method Man, Meyhem Lauren, GZA, Large Professor, JuJu of The Beatnuts, RA The Rugged Man and MF Doom. Ahead of next week’s release, we’ve been afforded another taste of what to expect in the shape of ‘Ka-Bang!’ featuring the latter, MF Doom. It is a banging hip-hop track as the title suggests, with the emcees going for it, to the back drop of snappy beats, flourished of eastern touches and some superhero-sampling from radio comic book adventures. With less than a week to go till the new album is with us, it is another top notch taster to get us even more excited. 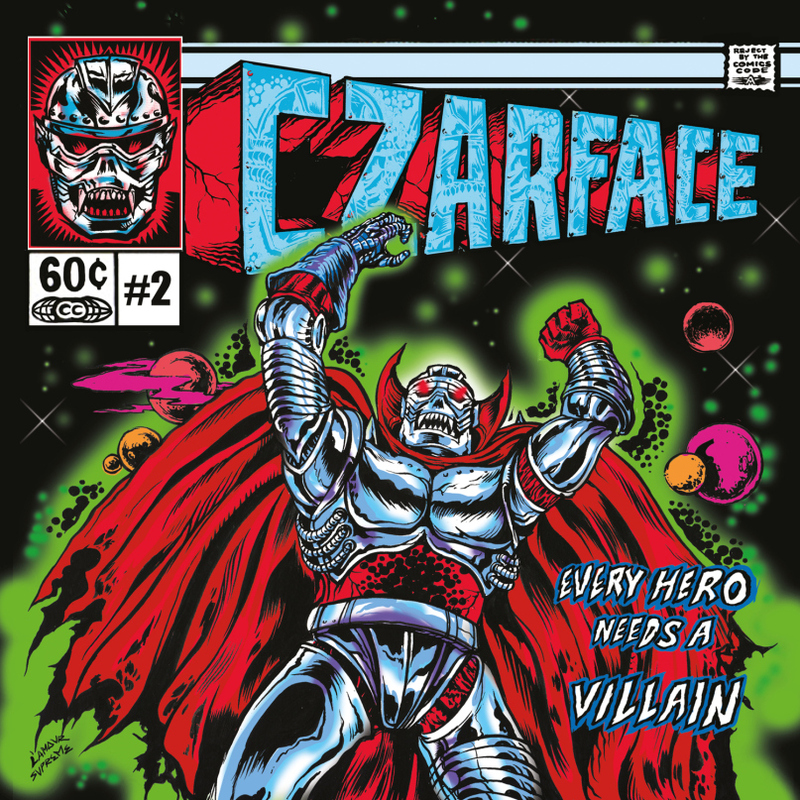 Czarface’s debut was an utterly fantastic record and thankfully it appears as though they’ve lost none of that zip, gloss or bounce that contributed to its greatness. Every Hero Needs A Villain is out June 16th through Brick Records. You can pre-order the album here or just listen to ‘Ka-Bang!’ below.